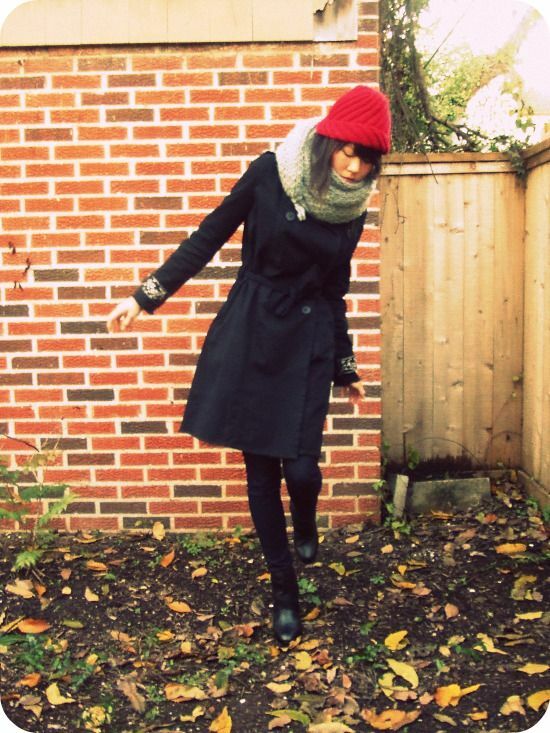 This is my favorite trench and not just because it's my only one. ;) I have yet to find another one that can fit the bill in softness and embellishments. 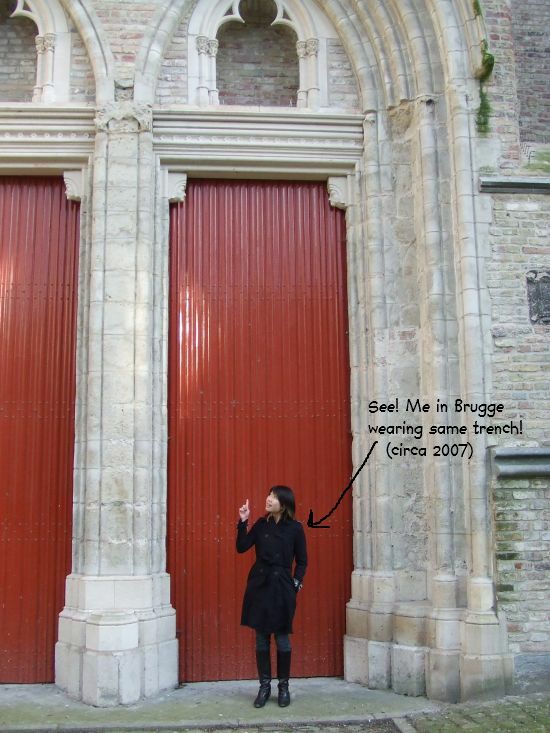 This coat has been with me everywhere including me and hubby's first trip abroad to The Netherlands and Belgium. Its sparkly features move it a step beyond your ordinary trench. It has silver sequined epaulets on the shoulders and silver wire and faux pearls embroidered on the the sleeve cuffs and back of the belt. Pure love. P.S.- I was about to crop out that dangling cable in the pictures, but I thought it added a weird element. Strange visual interests always intrigue me. Thanks for the lovely comment on my blog girl ! I really like your style, and you have a great blog! Thanks for the comment doll! I'm in love with this cozy look! 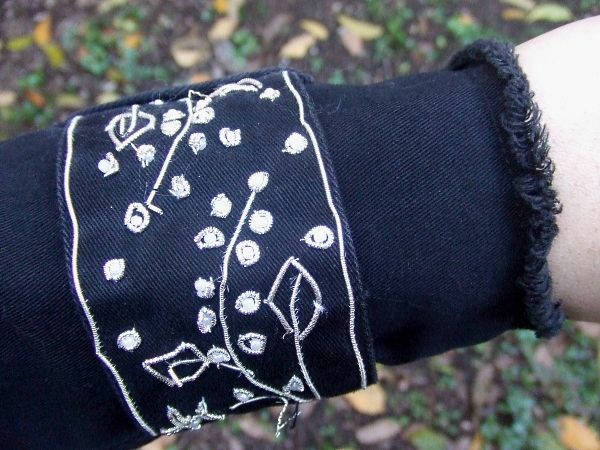 That scarf is amazing (wantwantwant) and I love the embroidery on your trench! Awesome trench coat. The little detail on the sleeve collar and the back make it extra special. That scarf is also really awesome! I have a thing for chunky knits :). Thank you lovelies! There are definitely going to be more chunky knits in my future. I can feel it. i love that chunky knit! beautiful photos! 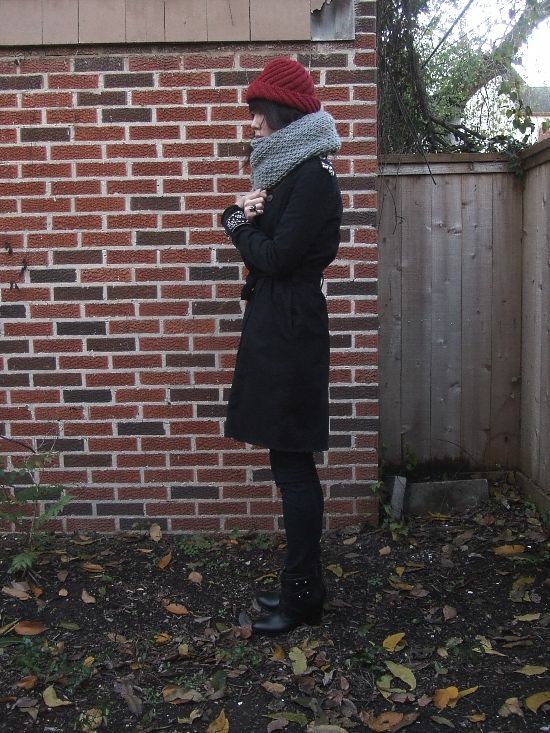 i love your coat and boots, the scarf and hat are just adorable! bravo! 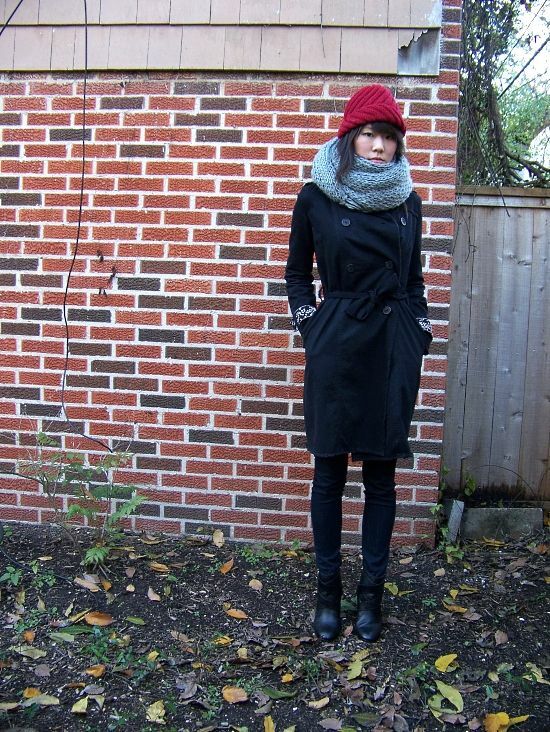 Love the trench and that gorg eternity scarf! that's a gorgeous trench indeed, love the sleeve detail, makes it unique. and all the more unique because you took it with you to Belgium ;) like your blog, thx for visiting mine too.